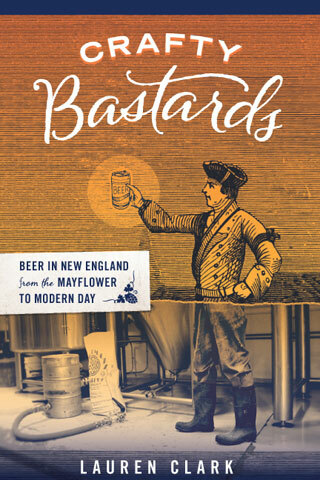 Acting as ambassador of the Murray Stenson Fan Club, New England Chapter, I presented him with a book on the history of Boston signed by several of our city’s bartenders — most of whom, like me, have only admired him from afar — plus a bottle of Chartreuse milk punch from the staff at Drink. Murray opened the punch right then and there and poured several shots for patrons at the bar. 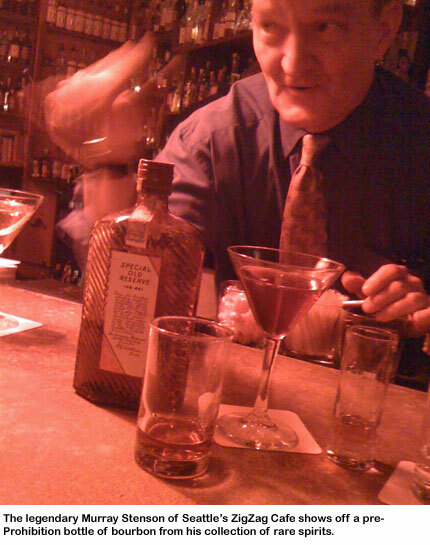 Then he mixed a few rounds of strong, elegant drinks — doling out some rare treats like the above — for me and my companions, West Coast drink writers Paul Clarke and Charles Munat. I’ll tell you more about Murray and my Seattle bar-hop in a later post. » Save the date for drinkboston’s next event: Barstool Mountain Monday: Country Drinking Songs and Country Drinks, November 30 at the Independent in Union Square, Somerville. Think southern-style cocktails, shots of bourbon and Lone Star beer flowing to a soundtrack of classic country drinking songs spun by Brother “Taco Brim” Cleve. There’ll be well-known faves like “What’s Made Milwaukee Famous (Made a Loser Out of Me),” but also lesser-known gems like “Four on the Floor (and a Fifth Under the Seat),” and “She’s Acting Single (I’m Drinking Doubles).” More details to come soon. » Also this month, swing by the bar at Clio between the 16th and 22nd, when bartender/mixologist Todd Maul celebrates the birthdays of David Embury and William “Cocktail” Boothby. 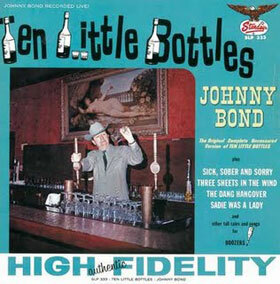 Embury, born in 1886, is the author of the biblical Fine Art of Mixing Drinks. Boothby, born in 1862, was perhaps the best-known bartender just before Prohibition. He plied his trade most notably at the Palace Hotel in San Francisco and authored World’s Drinks And How To Mix Them and The American Bartender. “We will be serving the Boothby Cocktail, the Casino and two creations from the Clio bartenders. For 10 bucks you get a drink and some rock shrimp,” says Todd, who provided the recipe for his homage to Embury and Boothby below. Stir over ice, serve straight up.